Stay in Norte Region's best hotels! Situated in the União de Freguesias do Centro district in Porto, 500 metres from Paris Galleries Street, MyStay Porto Centro boasts air-conditioned rooms with free WiFi. Everything was perfect. The room was small but functional and everything was clean. The recepcionist is very kind. Torel Avantgarde is set in Porto's centre, a 10-minute walk from the Douro riverside and 750 metres from the iconic Clérigos Church. The concept, the location, the restaurant, the view and Specially the team ! The team was Really amazing with us ! We were there for the birthday week end of my boyfriend. And the saturday night, they put a bottle of wine for his special day. It was really a surprise and a lovely attention from them ! I can advise you to ask the suite Coco Chanel... You will have the best view of Porto ! Featuring outdoor and indoor swimming pools, Tempus Hotel & Spa has a spa, a wellness centre and a restaurant. Great place, good breakfast, good atmosphere nice staff. Highly recommended! The recently-renovated Douro41 Hotel & Spa is a contemporary 4-star hotel located in Vista Alegre, Castelo de Paiva. It's a very nice place , beautiful nature! Hotel is very well located, and rooms are fantastic! This wine hotel’s luxury spa has a large indoor pool and hot tub offering panoramic views of Oporto. One of the best hotels we have ever stayed in. The boutique Laranjeira Hotel is set in the heart of Viana do Castelo, just 500 metres from the Atlantic Ocean. It offers rooms with free internet and panoramic views of the area. Service was very nice. Very helpfull at the check in. Tells you where to go and what to see. Located a 7-minute walk from Francisco Sá Carneiro International Airport, the OPOHOTEL Porto Aeroporto offers spacious rooms and free Wi-Fi. Great location for airport travelers and nice dining / bar facilities for breakfast or dinner. Situated in the historic city centre of Guimarães, Hotel Toural offers spacious rooms with satellite TV and air conditioning, only a 10-minute walk from Guimarães Castle. Free parking is available. The stuff was very hospitability. Location is great! The room was quite big. Hotel Rural da Freita is a 3-star property situated in Arouca. With a garden, the 3-star hotel has air-conditioned rooms with free WiFi, each with a private bathroom. Very comfortable bed, and excellent accommodation overall. Lovely breakfast. Set within 2.9 km of Braga Se Cathedral in Braga, Vila Gale Collection Braga offers an outdoor swimming pool and a garden. Excellent location. Friendly staff. Located in Bragança, Baixa Hotel has a shared lounge and bar. All rooms feature a flat-screen TV with cable channels and a private bathroom. Kind and helpful staff. Nice and modern clean room. In bathroom was hairdryer and also cosmetics. Torel Avantgarde is set in Porto's centre, a 10-minute walk from the Douro riverside and 750 metres from the iconic Clérigos Church. The concept, the location, the restaurant, the view and Specially the team ! Hotel Medieval® de Penedono in Penedono has free bikes and a tennis court. The property features barbecue facilities, as well as a garden. Very good reception and good facilities. Very good and personal service. Located in Braga, within less than 1 km of Braga Se Cathedral and 4.4 km of University of Minho - Braga Campus, Burgus Tribute & Design Hotel provides accommodation with a bar and free WiFi. The huge and very comfortable room and bathroom. The warm and hearty service. Situated within 400 metres of Matosinhos Market and a 10-minute walk of Matosinhos Beach, O Valentim Hotel in Matosinhos provides a terrace and rooms with free WiFi. The service the room and the food was superb. Offering a sun terrace and views of the lake, Hotel Fonte Velha is situated in Ponte da Barca in the Norte Region, 29 km from Braga. Guests can enjoy the on-site bar. A fantastic brand new hotel next to the river. The room is spacious and very comfortable. 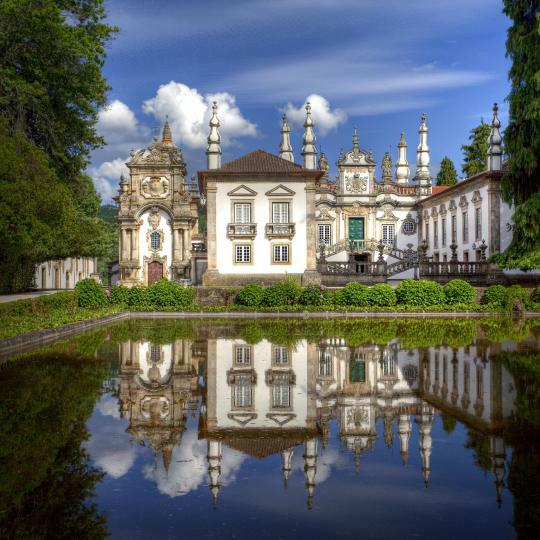 Dating back to the 16th century, Hotel Paço de Vitorino is located a 10-minute drive from Ponte de Lima centre, featuring a Baroque-style garden. Paco de Vitorino is one of these hidden gems one can find rarely. Featuring free WiFi throughout the property, Charm Palace is situated in Porto, 400 metres from City Bolhão Market, Rua Santa Catarina and from Capela das Almas. It is a genuine boutique hotel well located and with fashioned decoration. 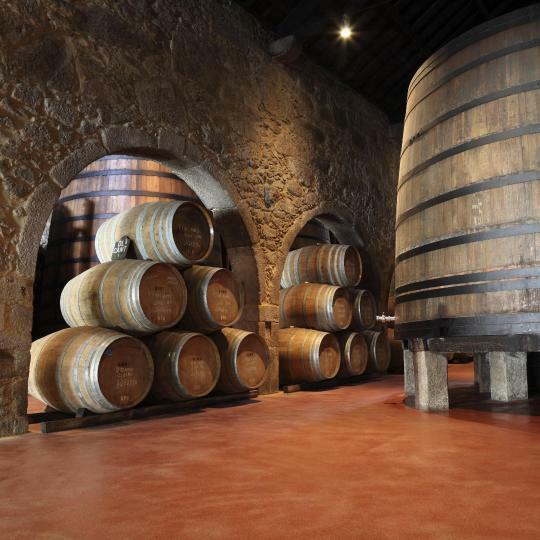 Hotel Torre de Gomariz Wine & Spa is located in Cervães and features free bikes. Each guest at the 5-star property can enjoy garden views from the rooms, and has access to a spa centre. We loved the peaceful hotel among vineyards and woods. Antique façades and grandiose monuments serve as a background for the city’s modern nightlife in Porto’s uniquely cosmopolitan historic centre. 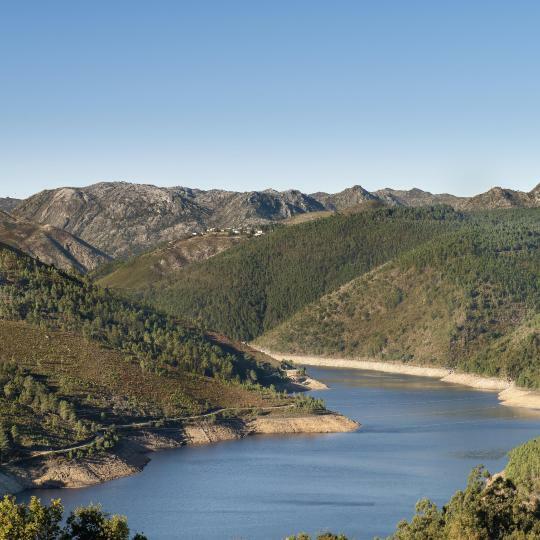 Spanning over 70,000 hectares, Peneda-Gerês National Park is flourishing with nature trails that meander through its vibrant flora and fauna. Glide past breath-taking green slopes, vineyards and mountains while touring this UNESCO World Heritage region by boat or steam locomotive. Known as the birthplace of the Portuguese nationality, Guimarães demonstrates the country’s progression with its medieval-to-modern day architecture. 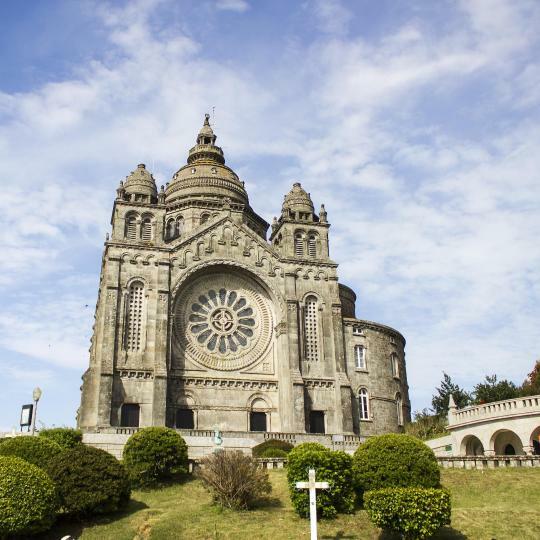 Braga is well-known for its remarkable religious ancestry evident in its sacred monuments like Bom Jesus do Monte sanctuary and Braga Cathedral. Sample original barrel-and-bottle-aged Port wine at one of the many riverfront cellars for a true taste of this regional favourite. 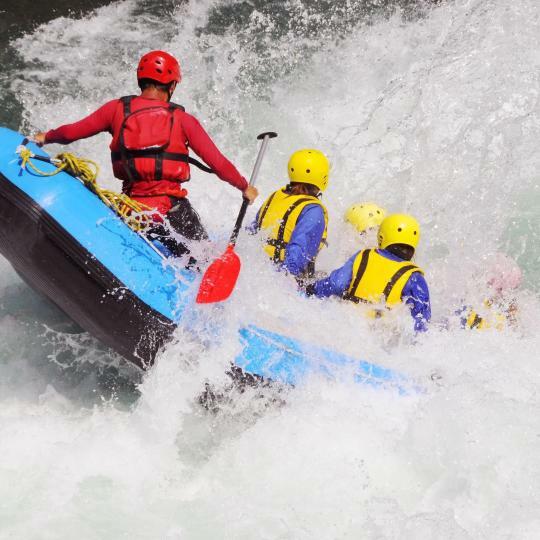 Twists, dips, thrills and spills await rafters of all levels at the pristine Pavia River rapids bordered by lush wildlife. This stately baroque mansion pays homage to aesthetics with its beautifully carved wood ceilings, sculptured gardens and collection of classic furnishings. The splendour of this byzantine sanctuary is equally matched by the glorious views over Viana do Castelo and the Limia River estuary. 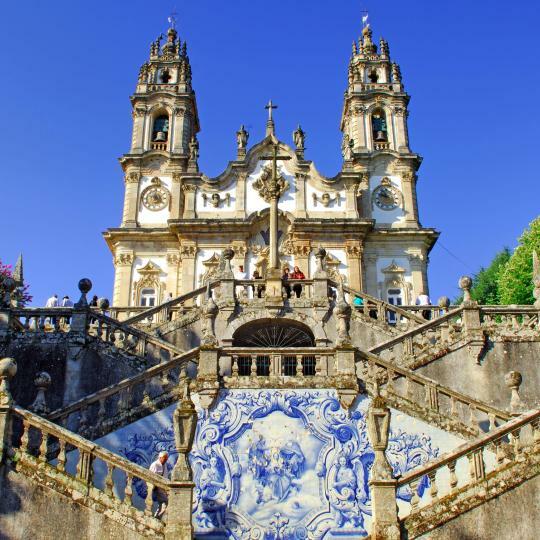 Sitting at the top of an impressive 9-flight, zigzagging staircase decorated with blue-hued azulejo tiles is this splendid baroque-style sanctuary. With fabulous beaches stretching from Caminha by the Spanish border to just south of Espinho, Portugal’s Norte region is known for beautiful scenery and historic cities. 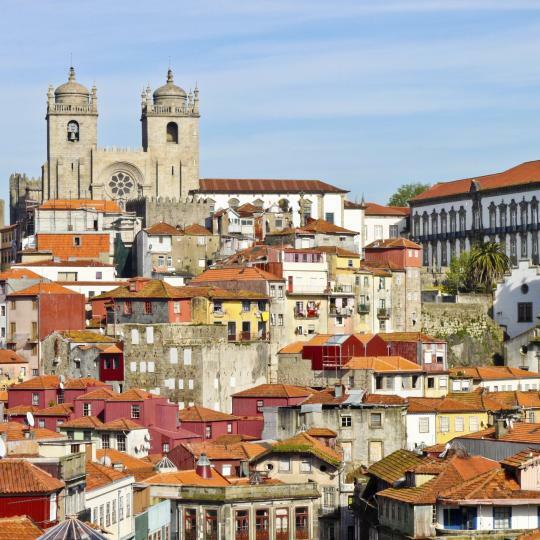 Most Norte hotels on Booking.com are in its UNESCO World Heritage-listed capital Porto (or Oporto). 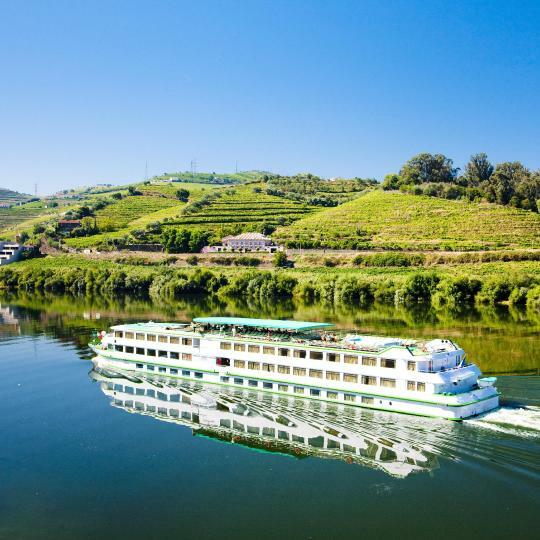 Attractively spread over hills, it has wine cellars storing port from the Douro River Valley vineyards upstream. Voted one of Portugal’s most liveable cities, Vila Real has the Mateus house overlooking a peaceful pond. Guimarães boasts a UNESCO World Heritage-listed historical centre and is known as the ‘birthplace of the Portugal’. 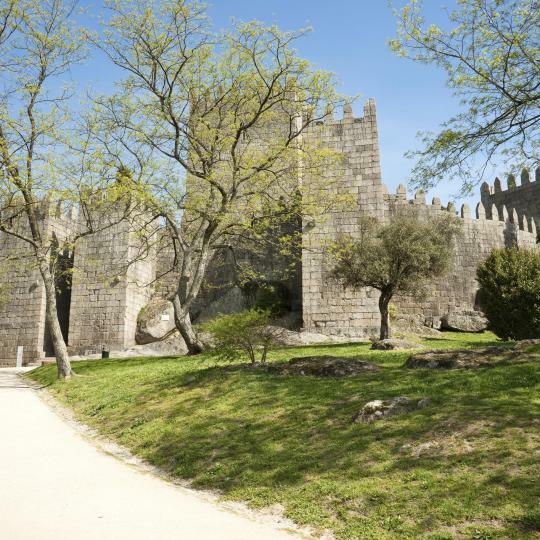 Its stately castle and the Palace of the Dukes of Bragança are well worth a visit. Bragança itself is by Montesinho Natural Park in north-east Norte, and a keep remains from its former castle. Chaves also has a castle keep and a Roman stone bridge, but unlike Braga, it no longer has remains of its Roman baths, erected over hot springs. 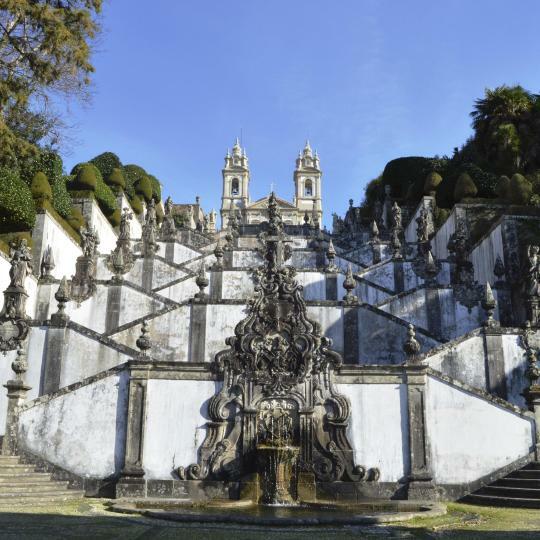 Braga’s crowning glory is the Bom Jesus do Monte sanctuary, set high in hills, with a wonderful staircase and garden overlooking the city. South of Galicia is the beautiful Peneda-Gerês area, Portugal’s only national park, and to its west is Viana do Castelo with its Norte beach hotels set on Blue Flag beaches. Also noteworthy is impressive Basilica de Santa Luzia, surveying the riverfront town below. Staying here is the ultimate 5-star experience, from the moment we arrived and there were immediately 2 staff members to park our car and take our lugguage. The staff went out of their way to assist and was a huge part if why this was the highlight of our stay in Portugal. The facilities were stunning and perfectly maintained, including the gardens. It is an example of how a 5-star hotel should be run. We felt like royalty the whole time and will be back. We were upgraded to a suite without asking and without paying extra. When I needed a plug adaptor for my laptop, one of the staff members offered to go to the village and buy me what I needed. The courtesy and professionalism at this hotel is unmatched and we have not experienced this standards at any 5star hotel we have stayed anywhere in the world. First class menu with beautifully presented dishes. Great local wine from hotels own vinyard. Romantic package was very generous with most dishes included, complimentary wine and amazing treats in the room -champagne, chocolates, flowers etc plus the spa treatments. We were very pampered. Every detail from the checkin, to the room, to the meals and service were exceptional. Staff were friendly and helpful and the facilities were second to none. We had booked for one night but loved it so much we stayed an extra night! PS the wines were pretty special too! This hotel has a fantastic location on the river. Being on the second floor, we had lovely views up and down the river. The breakfast room and restaurant are on the top floor, again with great views. Breakfast was very good, plenty of fresh food on a buffet service. Everything was perfect! The rooms were beautiful, the food and buffet breakfast, delicious!! Great facailities and spa treatments and the staff were all lovely... the views are also absolutely breathtaking! We thoroughly enjoyed our stay here. Super facilities. Lovely room with a wall of windows looking out across the gorge to Spain. Wonderful walking paths just below the hotel. Buffet was superior. Indoor pool and jacuzzi were perfect for the winter chill. One of the best hotels we have ever stayed in. Comfy beds, brilliant choice at breakfast including champagne and caviar. Every part of the hotel had been carefully thought about for the comfort of guests. Excellent location with a lovely view. We were upgraded to the master suite and it was totally amazing! Spa treatments were great - very relaxing. Breakfast had a great choice! Everything, especialy reception lady who gave me a lots of precious information about the city in less than 5 min. Hotel staff is very very well prepered ! Everything! Grest value for money. Right downtown Oporto, within a 5 min walk of major attractions! It's a very nice place , beautiful nature! Hotel is very well located, and rooms are fantastic! Customer service was excellent. Also, the breakfast was very tasty. The property was in an ideal location for our purpose. Great staff and amazing relaxing spa.